Mondays are never fun, whether it’s back to work or back to school, it always means the weekend is over. The good news is with the 4th of July coming this Wednesday, this should be a short work week for everyone. 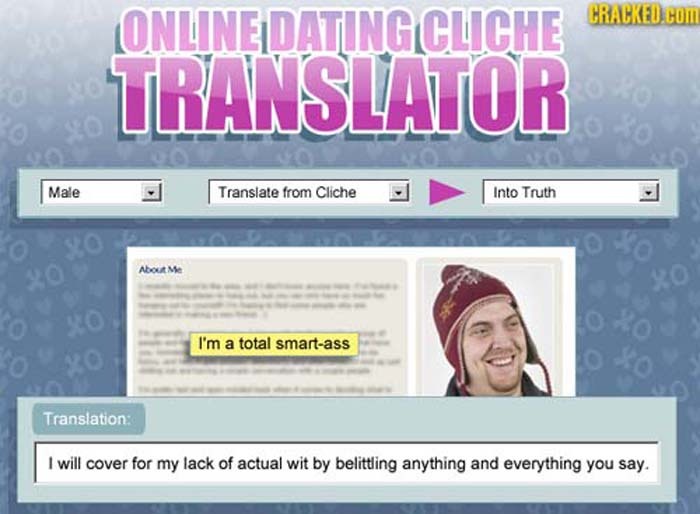 Enter Cracked.com’s Online Dating Dictionary, which is sure to make a few smiles appear on your fun-loving Monday. My only gripe: why the Denny’s slam (and not the Grand Slam)? Denny’s is a fine late-night establishment that I know has a place in many of our hearts; if online dating is comparable to Denny’s, then LFG Dating is like Egg Harbor. Or Cracker Barrel (so damn good!). For more Cracked goodness check out our Cracked.com tag, or head over to their website! Oh, and why haven’t you signed up yet at LFG? It’s free, so what the heck are you waiting for?